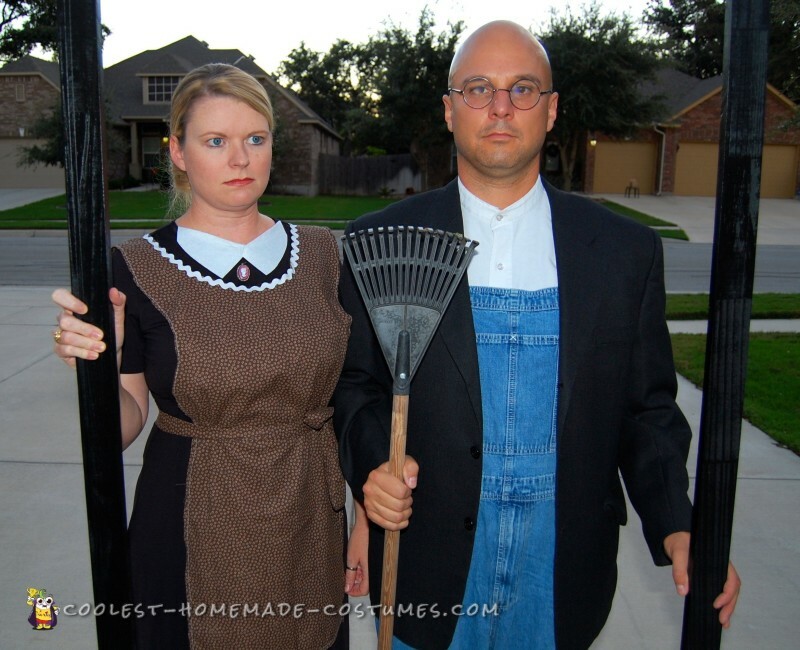 I saw a picture of the painting “American Gothic” shortly before Halloween and thought it would be a really funny costume. My father-in-law made us the large picture frame that we carried with us. 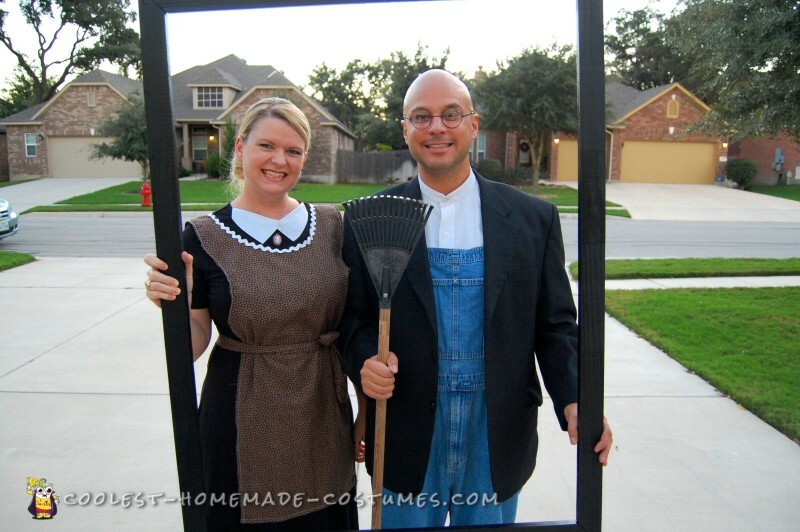 My husband used his own overalls and blazer, and we borrowed the rake from a friend. I bought the glasses at Party City for $2.99. I wore my own black dress and made the apron from a scrap of fabric. I used sticky-backed craft felt to make a faux collar, and borrowed a cameo from my mom. Add a bun and some solemn facial expressions and we were a huge hit! People stopped us to take our picture all night. Homemade costume idea posted by Christy S.